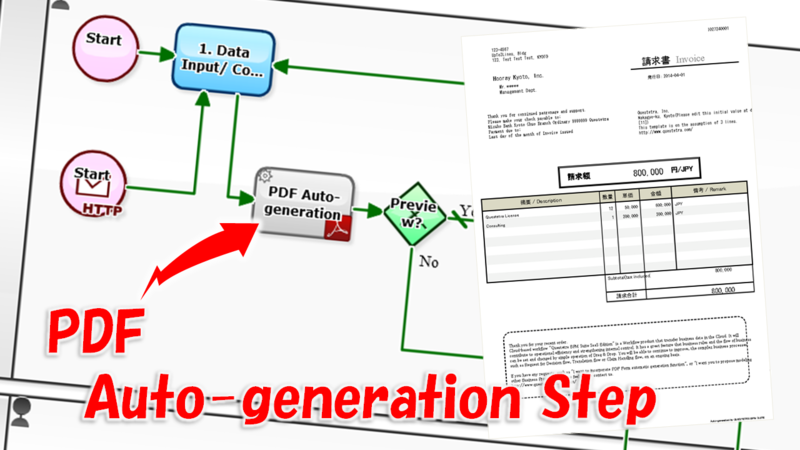 In the PDF Auto-generation Step, a PDF file including predetermined Business data will be generated as a "PDF Template ". If the "PDF Template" was registered in the system by a User with [System Administrator Authorization], it is possible to enable reference settings which will allow referencing from each App to the template. 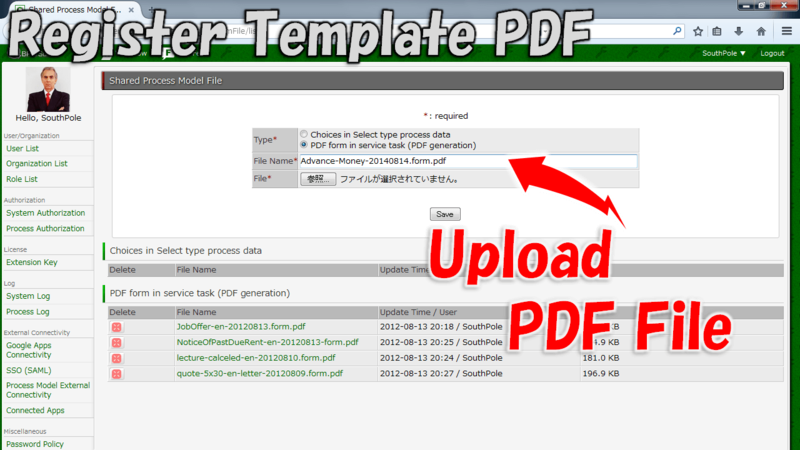 With this feature, more modeling efficiency, or centralized management of PDF layouts can be achieved. Invoice, Job Offer letter, Certification, etc. 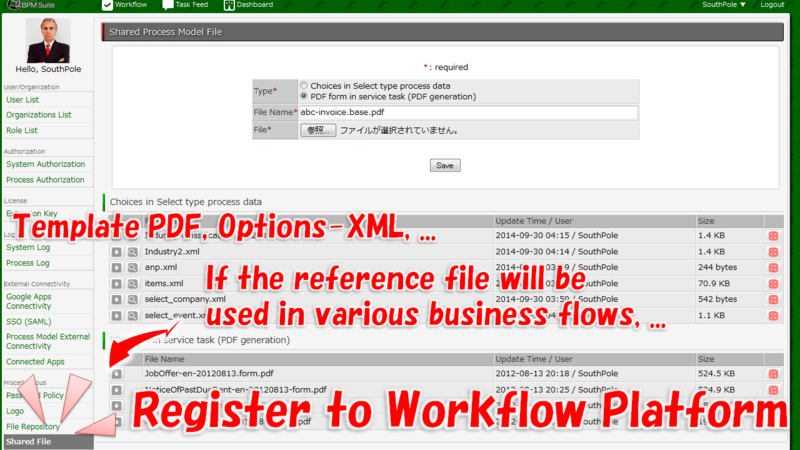 Quotations of 1st Sales Division and of 2nd Sales Division, Certification in Japanese and in English, etc. Estimates and Quotations, Cover sheet of Fax and Mail, etc. 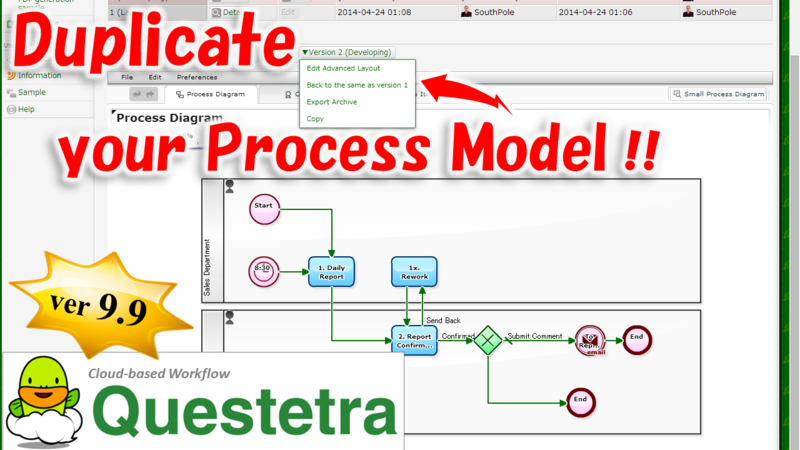 2014-11-10 (Billing-Payment Confirmation flow): Non-payment! Automatic Escalation!